On April 10, nominees and honorees for the 16th Annual Webby Awards were announced. In total, PBS and PBS producers received nine nominations, and an additional 10 were selected as honorees. The Webby Awards honor excellence on the Internet and are presented by The International Academy of Digital Arts and Sciences. Winners of this year’s Webby Awards will be announced on May 1, 2012, and the ceremony will take place on May 21, and will also be streamed live on www.webbyawards.com. Voting for the Webby People’s Voice Awards will be open through April 26. PBS congratulates our producers as well as staff who have been named nominees and honorees. Following is the full list. Websites - YOUTHCat in the Hat Knows Alot About That! In addition, PBS congratulates our colleagues in public media who were named nominees and honorees. NPR received nine nominations and was selected as an honoree in one additional category. 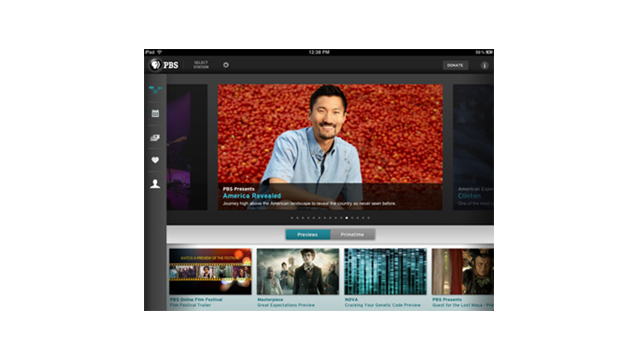 American Public Media’s Marketplace, Public Radio Exchange and KCRW’s Music Mine iPad App were also named Webby honorees.